They had it all. They just got greedy. 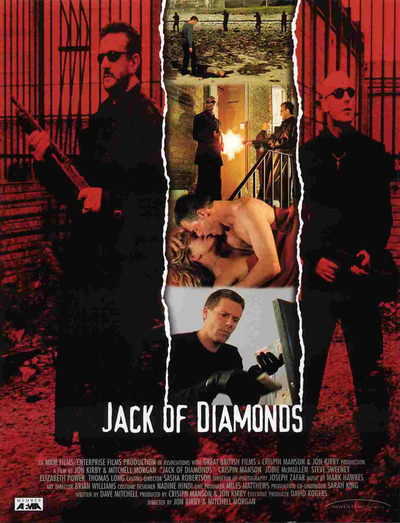 When infamous diamond thieves Jack and Cassie unwittingly target the head of a Greek underworld syndicate, they find themselves on the run from a cold-blooded hit-man. Forced to flee London, Jack and Cassie hole-up in a remote country village until the heat cools off. But things are about to get hotter. The village is a secret Government test site for an experimental hallucinogenic drug which has been introduced into the water supply with catastrophic results. But who will be left standing at daybreak..?